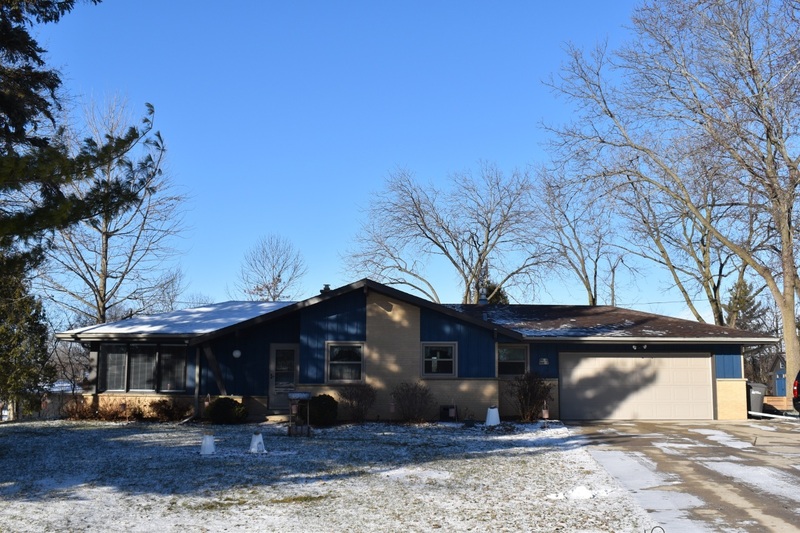 1,583 sq ft; lot: 0.55 acres - MLS# 1618331 Courtesy of Shorewest Realtors, Inc.
Only a job transfer makes this amazing Muskego Ranch on spacious lot available! Enjoy cul de sac living in desirable Fountainwood Subd. UPDATES - energy efficient vinyl windows, new front door & storm doors, exterior painting, new shed ALL in 2018! Interior walls painted 2017. Foundation/basement walls excavated/reinforced 2017 (20 year warranty). Large, bright, cheery LR, updated KIT/dining area w/new flooring, granite counters, SS appliances. Bonus fam rm w/GFP & outstanding views of generous yard. 3 good size BRs w/HWFs. MBR has dual entry BA w/shower stall & shower over tub. Wide open LL w/pool table & work bench awaits your finishing plans! Laundry w/newer washer/dryer. This is the one! Don't wait too long to see it! HSA Home Warranty Included!! !